OffLeaseOnly’s 10 top best selling used cars brands are a mix of upscale luxury and polished reliability, with the ever popular used Nissan Altima ranking No. 1, followed by the Infiniti G37 and Mercedes E350 luxury sedans. The most exciting thing about shopping at OffLeaseOnly best selling used cars is the MASSIVE selection of nearly every make and model used cars for sale imaginable. The list of the best selling used cars is based on 12 months of OffLeaseOnly used car sales statistics, also includes the following makes and models ranked from highest to lowest: Honda Accord, Toyota Camry, Volkswagen Jetta, Hyundai Sonata, Mercedes C250, Mercedes C300 and Hyundai Elantra. The fact that the list includes two Hyundai models and three Mercedes models is no surprise: both brands, although aimed at different buyers, are recognized for their superior performance, build, style and amenities. 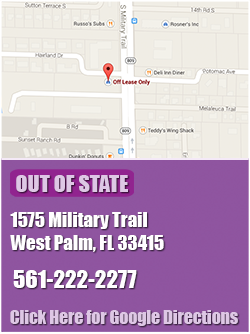 The unmatched selection of used Mercedes and used Hyundai models for sale makes the local dealers jealous. Not to mention the prices being thousands of dollars below retail. OffLeaseOnly sales associates say customers love OffLeaseOnly best selling used cars like used Nissan models and used Hyundai models for their reasonable prices and incredible economy. Off Lease Only’s inventory includes over 365 Nissan models and nearly 200 used Hyundai models to browse at any given time! Now that’s selection! 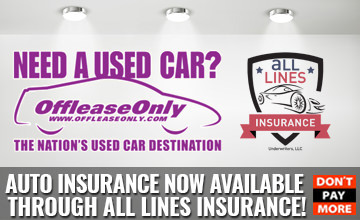 Not to mention all used cars at OffLeaseOnly are priced thousands of dollars below the market average. Looking for luxury? 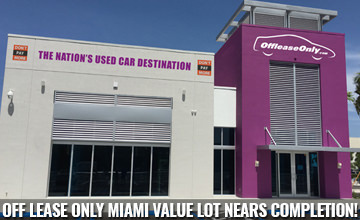 Off Lease Only is known to boast an incredible selection of best selling used cars and pre-owned Mercedes for sale. Browse nearly 300 pre-owned Mercedes models from the comfort of your computer and your dream car is sure to arrive soon. Off Lease Only offers luxury for less on a scale that draws loyal car buyers from across the country and even across the world! 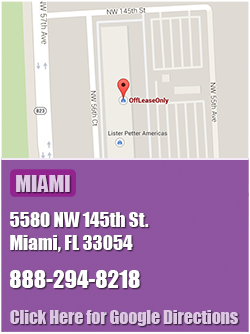 OffLeaseOnly Miami sales associate Anthony Sicilia wasn’t surprised that the Nissan Altima was OffLeaseOnly’s No. 1 sellers because it’s such a fantastic car and the selection at Off Lease Only is second to none! He said the new styling on the Nissan Altima sedan makes them look especially sharp. Automotive review sites name the Nissan Altima a top choice among sedans and give it “excellent” ratings in fuel economy, comfort and agility. 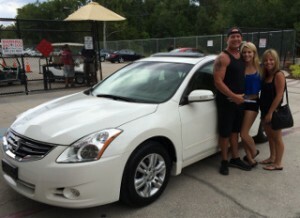 Mark Fischer spends a lot of time buying as many used Nissan Altima models as he can in order to keep up with his customers ever growing demand. The Altima also had strong crash test scores, excellent ride and balance ratings and a cabin that was rated above average quality. OffLeaseOnly Customer Arlette Rodriquez with OffLeaseOnly Used Hyundai Elantra. 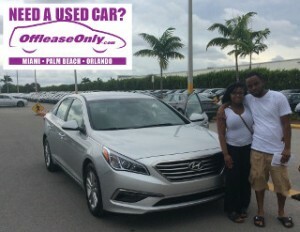 OffLeaseOnly Customer Brenda Jules and her OffLeaseOnly used Hyundai Sonata. In government crash testing, the Altima sedan got five stars for total frontal impact safety and five stars for total side impact safety. The Insurance Institute for Highway Safety gave the Altima a good rating for moderate overlap frontal side impact roof strength and whiplash reduction, according to Edmunds.com. OffLeaseOnly Hyundai specialist Jamel George of Orlando expected Hyundai to be included among OffLeaseOnly’s best selling used cars brands because the cars are made well, priced reasonably and fun to drive. South Korea is one of the world’s top producers of steel, and that fact is reflected in their cars’ construction, he noted. “You can feel a lot of steel in them,” said George, who noted that the entire mechanics of Hyundai cars is impressive. George, who previously worked at Hyundai as a certified salesperson, drives a Hyundai himself and can’t say enough good things about the brand. Hyundai vehicles also have excellent warranties, he added. Safety, cost efficiency, warranty and overall design of Hyundai give the vehicle its appeal. Kazravan said Hyundai models appeal to parents buying a first-time for their children, and drivers who commute and need a reliable car for distance. 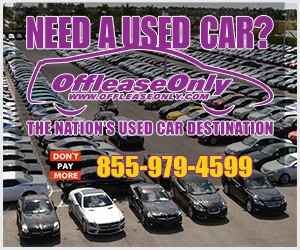 OffLeaseOnly best selling used cars list also included three Mercedes models, also no surprise, as OffLeaseOnly’s gigantic used Mercedes inventory is nationally known. 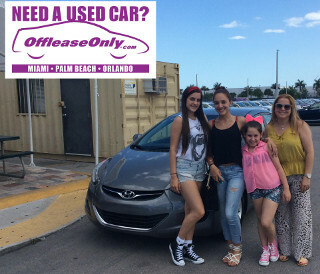 OffLeaseOnly’s ad agency and media director Monique Hausheer recently purchased a white 2013 OffLeaseOnly used Mercedes C250 to replace her 2009 red Mercedes C300 sedan. She chose the C250 after test-driving a Lexus 250 and a BMW 3-series. This is her families 5th car from OffLeaseOnly and she states that she would never dream of purchasing a car anywhere else! OffLeaseOnly Customer Tania Perez and her OffLeaseOnly Used Mercedes C300. OffLeaseOnly has a gigantic inventory of best selling used cars and gorgeous used Mercedes because OffLeaseOnly owner Mark Fischer is one of the top volume buyers at Mercedes Financial. Hausheer said she saved an estimated $6,000 on her used car when comparing prices on Autotrader to every other used car dealer in the Miami, Fort Lauderdale and Palm Beach markets. The Mercedes C-Class is described by reviewers as having the interior looks and feel that a luxury car should have, with a quiet cabin constructed of high-quality materials. “I get great gas mileage on this car. It’s really fun. It has a lot of pep, cool red stitching and even a red seat belt” Hausheer said. “They are great cars and one of the best-selling cars for Mercedes, economical on the gas mileage consumption and they are beautiful . You get a lot for your money,” Sicilia added. Also on the best selling used cars list is the Mercedes E-Class, which has been described as having an opulent interior, a plush ride and generous passenger room. A 7-speed automatic transmission is standard in the E-class, as is rear wheel drive. All wheel drive is optional. These beautiful cars are recognized for their lavish materials, spacious interior and comfortable, composed ride, said Edmunds.com. 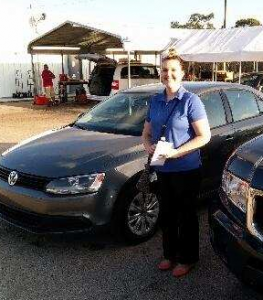 OffLeaseOnly customer Amanda with her OffLeaseOnly used Volkswagen Jetta. Another popular car on the OffLeaseOnly Top 10 Best Selling Used Cars list is the Volkswagen Jetta, whose compact body style and German engineering have sent sales through the roof. Fernandez recently sold a Jetta to a woman who bought the car for her son. 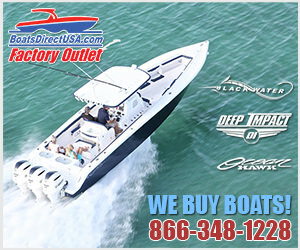 “She liked the safety aspects of it, the looks, the reliability and the price,” Fernandez noted. Reviewers describe the car as having a “substantial” feel, steady and with precise steering. Other best selling used cars at OffLeaseOnly’s Top 10 list are the Honda Accord, the Toyota Camry and the Infiniti G37, all beautiful sedans with broad appeal for all ages. Also on the best selling used cars list is the ever-popular Toyota Camry, described by reviewers as a compelling and competitive mid-size sedan with a reputation for reliability, while energetic to drive. The Camry received five out of five stars for overall crash protection, with four stars for frontal-impact protection and five stars for side-impact protection. The Insurance Institute for Highway Safety gave the Camry its best possible rating of “Good” in its moderate-overlap and small-overlap frontal-offset impact tests. The Camry also earned a “Good” score in the side-impact, roof-strength and head restraint/seatbelts (whiplash protection) tests, according to Kelley Blue Book. The Infiniti G37 is also a sought-after choice. OffLeaseOnly customer Achraf Mouhsine and his OffLeaseOnly used Infiniti G37. “Overall, the Infiniti G37 stands shoulder to shoulder with all its contemporary rivals in the entry-level luxury segment,” writes Kelley Blue Book. 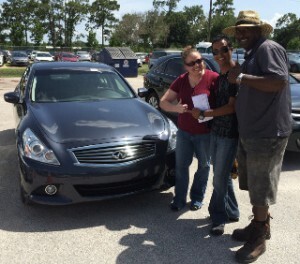 OffLeaseOnly Palm Beach sales associate Shauna Welsh said OffLeaseOnly used Infiniti G37 models sell like hotcakes. The appeal? Good looks without a huge price tag and lot’s of luxury! 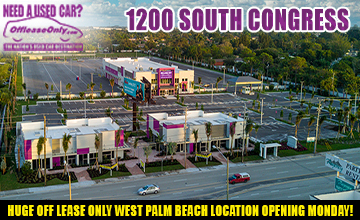 Stop in to one of Off Lease Only four locations and drive home your dream car today!